Networking is an extremely important aspect of business. Whether you are trying to sell products or services, your company’s information has to reach people. Business cards are a great way of passing on your business’s contact information to potential customers. They conveniently fit in every person’s wallet and contain information vital to success. Intelligent companies know the value of business cards, but unfortunately also the cost involved in acquiring them. 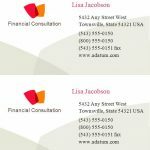 The Avery 8859 Template is a customizable business card template for companies looking to broaden their network. Easily produced and clean looking business cards are indispensable in a business environment. As a Microsoft Word document the Avery 8859 Template can be easily customized and printed to suit your company’s needs. First, replace all placeholders with your company data. This includes your name, company name, logo, address phone numbers and e-mails. Make sure that all data is correct and free of errors. Second, save your modified template for convenient access in the future. 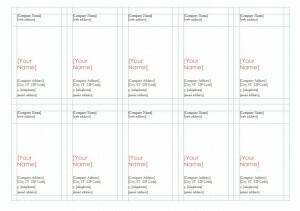 Third, print the desired amount of template sheets and use a cutting device to isolate the individual business cards. If many template sheets were printed, reduce your efforts by cutting multiple pages at once. First, it is advisable to keep in mind that thicker cards are harder to cut. However, it is recommended to use thick paper, such as cardboard, as it makes your cards more robust and long lasting. Second, make sure to back-up your customized template. Having that file ready for future use can really make a difference. Third, avoid using scissors. Especially for a large amount of cards. 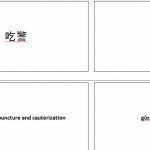 It is difficult to cut the cards with straight edges without using a cutting machine. Fourth, make sure that the logo size is not too small or large. It is the center of attention, so be sure that it looks proportional to the writing on the card. Practically all companies use business cards as an effective way to gain customers. Use the Avery 8859 Template for a simple but powerful solution!